We all love our pets. From the cute kitten cuddling under your neck as you sleep at night to the plump little pup that rests at your feet as you sit in your couch, our pets have become a part our family. They’ve got the privilege of riding in the passenger seat of our cars, snuggling in our beds, and more. Sometimes, our loveable pet can be our carpet’s worst enemy. Your pets will leave stains and odors if it has a habit of urinating inside your house or loves to sit on carpets for hours. Pet urine creates a multi-layered problem that results in the growth of bacteria and contributes to permanent color loss of the carpet fiber. Pet urine deposited on carpet contaminates both the backing of the carpet and the ﬂooring material below your carpet. As the urine dries, the liquid will evaporate, but the urine crystals become even more concentrated and pungent. So, a simple cleaning will not remove the pet odors. 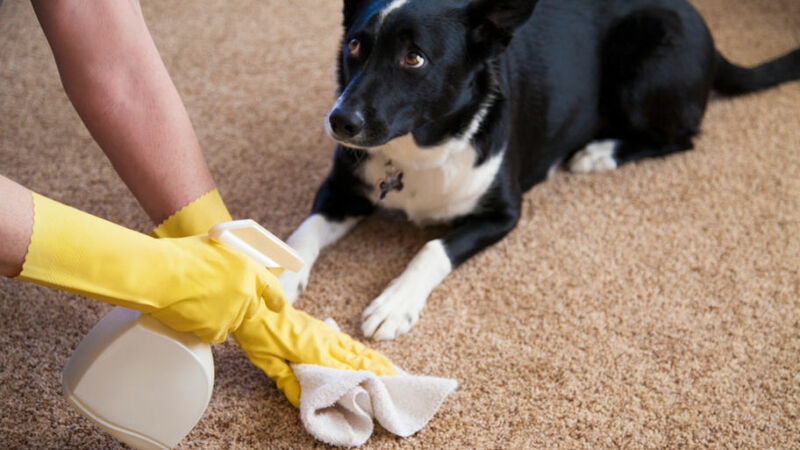 Choose the right pet urine odor removal service in Seattle to eliminate the pet urine odor from the carpets. P.U.R.T.® is a revolutionary product exclusively made to remove tough pet stains and urine odor in your carpet. Instead of simply masking the odor, it works to stop the smell at its source. It eliminates 99.9% of pet urine odors from carpets and 99.2% of bacteria from pet urine in carpets. Before applying P.U.R.T.® to the stained carpet, give your carpet a hot water rinse to remove the bulk of the urine crystals. Remove or replace the carpet padding if necessary. Then apply P.U.R.T.® heavily to the tack strip, the sub ﬂoor, the baseboards, and the carpet backing, and make sure it covers all areas affected by the urine. The ingredients in P.U.R.T.® starts reacting with the urine over the next 24 to 36 hours and breaks down the odor causing components. So, what are you waiting for? Buy P.U.R.T.®, the best carpet cleaner for pets in Seattle now to quickly remove pet urine odor, or schedule a service for our professional technicians to get your pet urine stains out today!